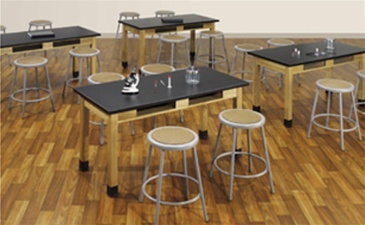 Lab Tables & Stools for your Science Classroom. Looking to fit out a Science Lab? We offer a wide selection of Science Tables and Stools. Many table sizes are available with either durable High Pressure or Phenolic Tops that withstand Extreme Chemical Abrasion and Stain Resistance. Our professional consultants are available to help you plan your next Science Lab.